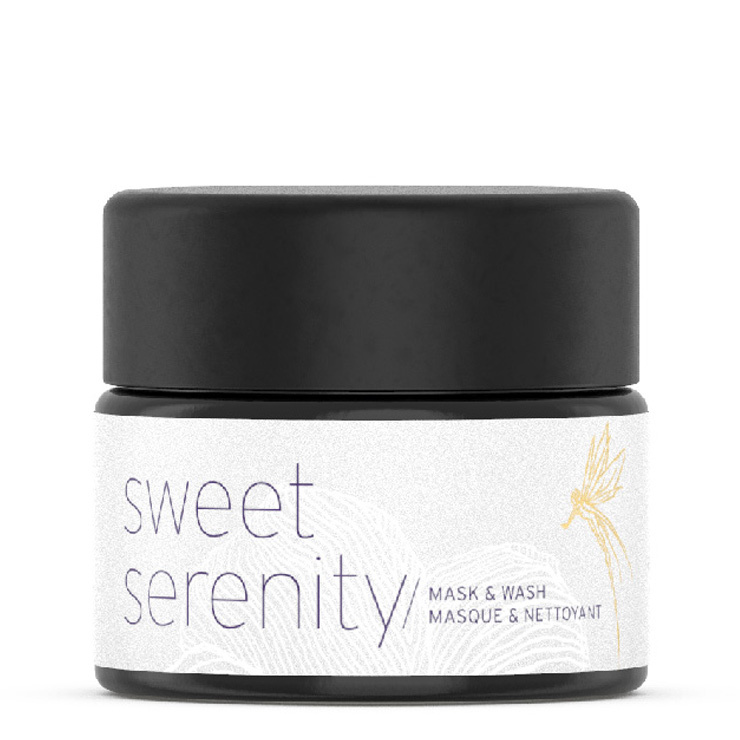 Sweet Serenity Mask & Wash by Max and Me is a creamy paste that offers a feeling of soothing smoothness to stressed-out, irritated, dull, and thirsty skin. 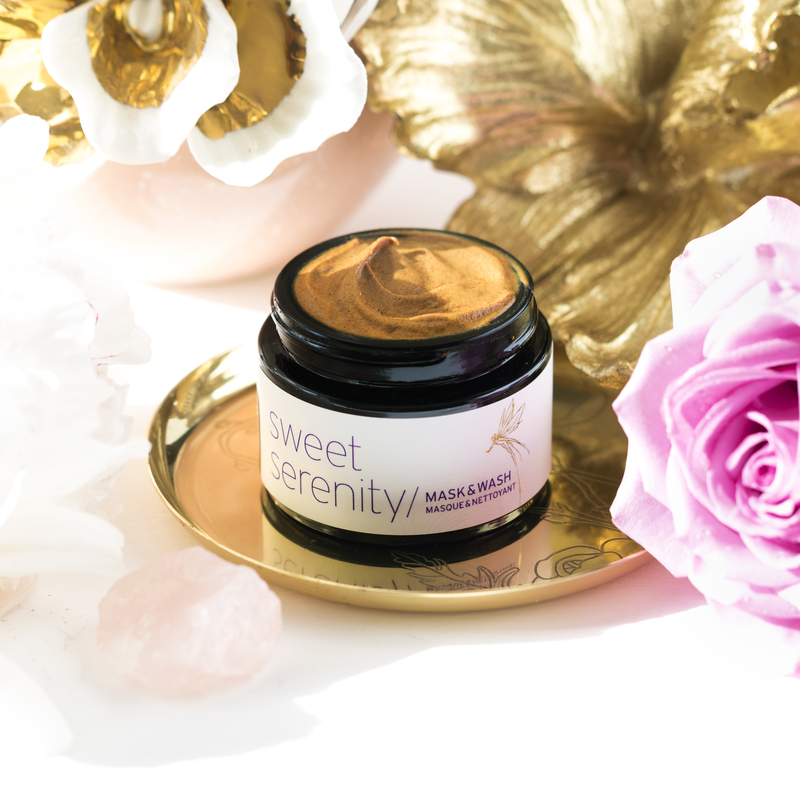 A blend of beauty oils, powders, butters and essential oils instantly imparts a feeling of calming serenity and soothing nourishment to even the most troubled and delicate skin, while delivering a look of hydration and radiance. 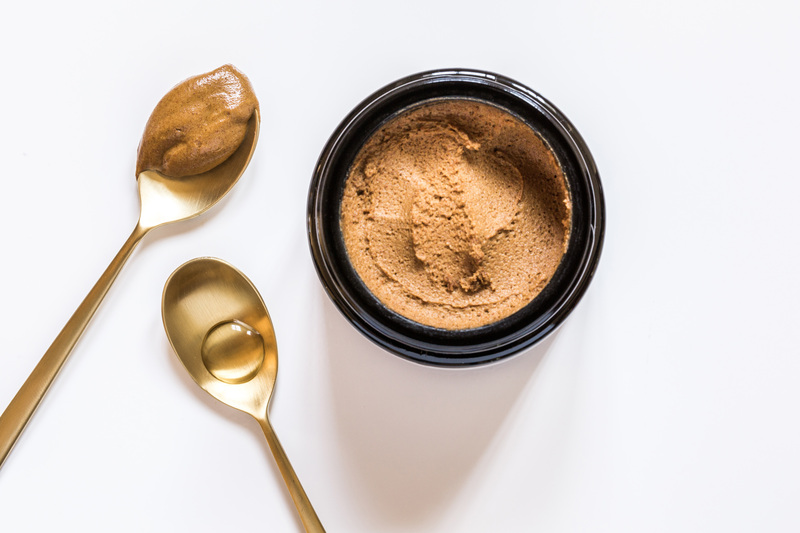 As a mask: When you need a feeling of extra soothing, loving care for thirsty skin, take a little bit of this deliciousness and gently mix it with water until you have a smooth, creamy texture, hues lighter than the original color. Then apply it to your skin. Use it on the full face and neck, to lend a cooling feel, relieve feelings of irritation, and improve the appearance of skin tone for a naturally glowing look. Let it remain on skin for up to 30 minutes or longer, then take it off with a moist cloth. As a wash: If you have long craved for beautifully calm, bright and dewy looking skin, here is how to get it: take a little bit of this deliciousness and gently mix it with water until you have a smooth, creamy texture, hues lighter than the original color. Then apply it to your skin. Use it on the full face and neck, to lend a cooling feel, relieve feelings of irritation, and improve the appearance of skin tone for a bright, beautiful look. Softly circle with your fingers for an ever so gentle peeling or take it instantly off with a moist cloth. I adore everything about this mask. Definitely my favorite mask that I’ve received from the Beauty Heroes subscription boxes to date. The smell is wonderful and it goes on so easy. My skin is glowing and feels super soft on days I use it. Highly recommend. It does leave a residue afterwards so I use it as more of a mask than a wash. I received this in the beauty heroes box and at first the smell and texture put me off. But then after using it the first time, I was hooked. I put it all over my face in the shower and leave it on as long as possible. Then I add a little water and massage it into the skin to exfoliate. It leaves your skin smooth, calm and hydrated. Great for sensitive, dry skin or anyone suffering from breakouts as the Manuka Honey in it is very healing and soothing to the skin. I don't understand the negative reviews. I absolutely love this product!! This is definitely a mask that you want to put on when you have extra time on your hands. The longer you leave it on, the better the results. I'll usually leave it on for up to an hour and when I wash it off my skin is GLOWING. The smell also is to die for. I don't know how they can call this a wash. It left my face a horrible greasy stained mess. I have used oil cleansers in the past to remove makeup, but with this you would need an oil cleanser to remove this 'cleanser.' Do not see myself using it again. I followed the directions, but this does not clean my skin. It leaves a yellow residue behind that can’t full be washed off with water or removed with just a cloth. I assumed I could use it as a second cleanse because it says it’s a wash, but I then had to wash my face a 3rd time with a cleanser to remove all the residue. Therefore it is also annoying to remove as a mask. Too me this is just a very overpriced exfoliator. It is not a “wash” and isn’t worth using as a mask. I don’t find it soothing at all because of the exfoliating grittiness. It is not cooling to my skin either.